Moschino designed its collection with dominant color beige, camel, white, mouse-gray, silver, blue, vermilion, sun yellow, fuchsia, black, white. The used materials: silk, brushed wool, wool, patent leather, paper, fleece, felt, recycled fabrics, leather, reptile, down feather, velvet, fringes, duct tape, chiffon, plastic, PVC, fur, brocade, metal, lace, carpet. 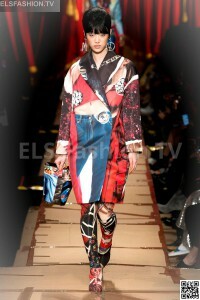 Lenghts: mini, midi and maxi. 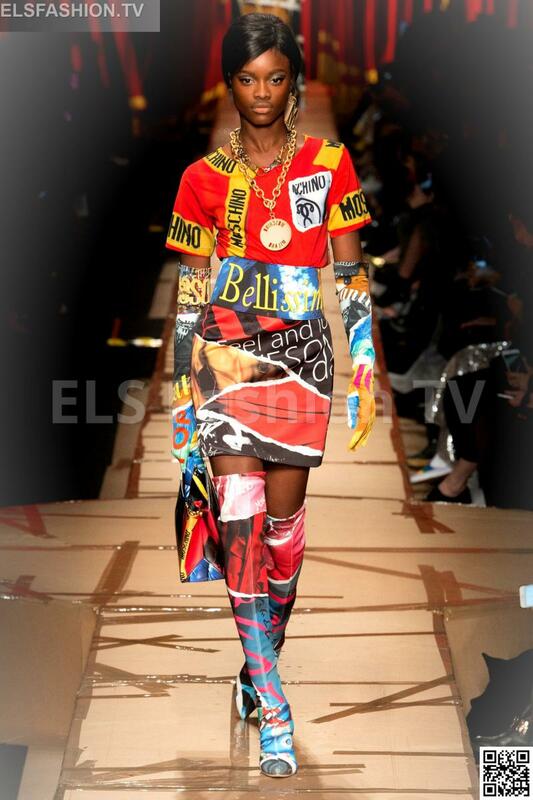 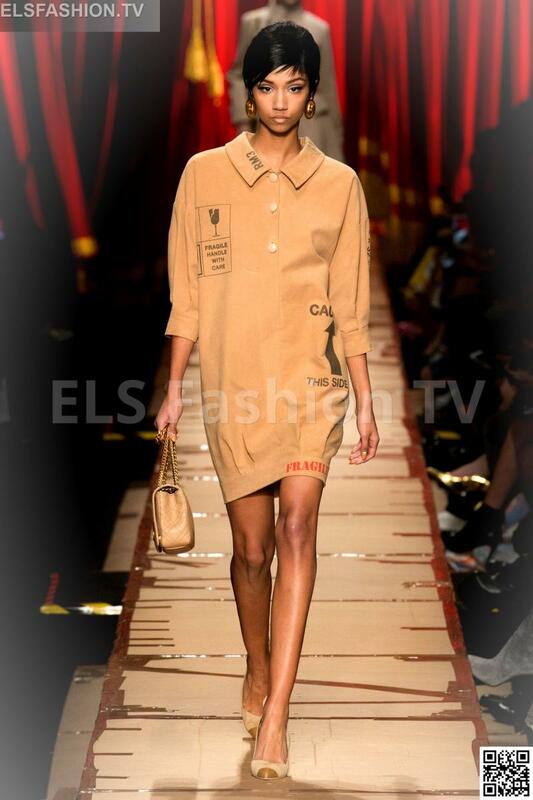 ELS Fashion TV presents the Moschino full collection. 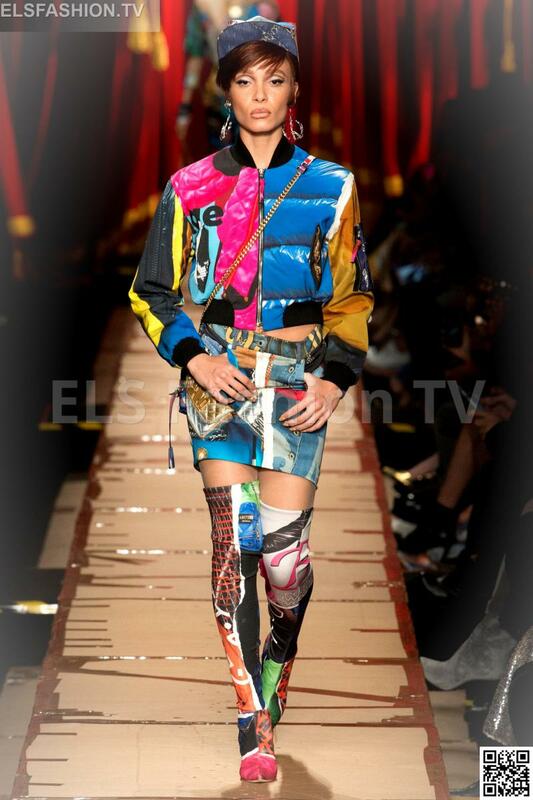 Click on any image below to enjoy the full Moschino fashion shows Collection with 74 shoots!.